From Gunnarn drive in the direction of the airfield and before that turn right to Grundfors and right again after about 1 km. Follow this dirt road for another 4 km and then left up to a sharp bend to the left and park there. The path to the prospect starts in the bend and is quite overgrown. After about 200 m you reach the lower end of the prospect. 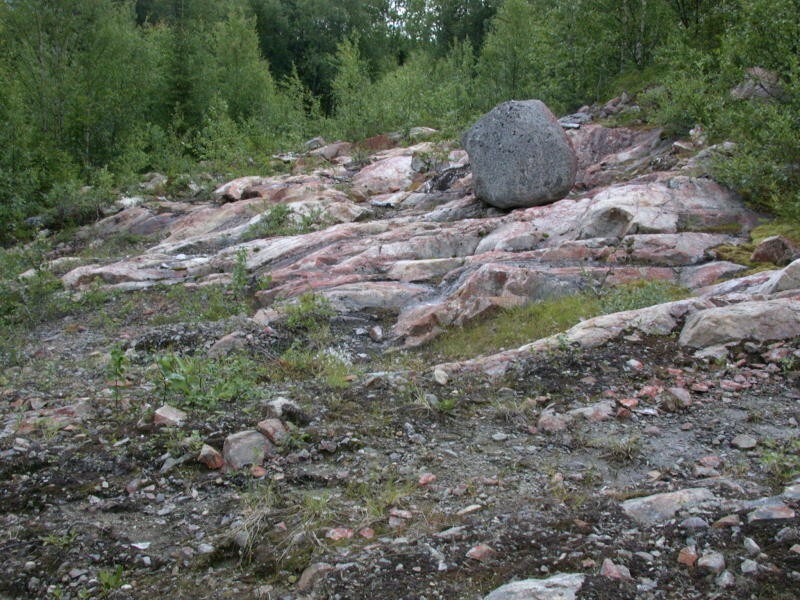 This mineralization was discovered in 1979 and the minerals occur in quartz veins running through the former cleaned rock.